2. Slice onions thinly and saute in 1-2 Tbsp butter until golden brown. 3. Grease the bottom and sides of a 9 x 13 baking pan with butter. Spread onions across the bottom. 4. Slice potatoes very thinly with a knife or mandoline. Season the slices with salt and pepper and toss lightly. 5. Grate the Vivace with the large holes on a cheese grater to yield approximately 2 cups of grated cheese. 6. Spread 1/3 of the potatoes on top of the onions, then top with 1/3 of the cheese. Repeat two more times, ending with a layer of cheese. 7. Pour the heavy cream over the top of the entire casserole. 8. Bake covered with aluminum foil for 30 minutes, then remove the foil and bake for another 15-30 minutes. Gratin is done when casserole is bubbling, cheese is golden brown on top, and potatoes are tender when poked with a paring knife. 9. Let sit for 10 minutes before serving. Top with parsley or other garnish if desired. Chef Chris Larson is one of our main cheese makers. He found this recipe for “Cheese Pennies” on the King Arthur Flour website and substituted a combination of Bloomsday and Dairyere Reserve. Chris also used mini cookie cutters to shape his crisps into candy canes, stars, and Christmas trees. You can use your imagination to take them any direction you’d like (as long as you keep them small). In a medium-sized mixing bowl, combine all of the ingredients except the paprika to make a cohesive dough, sprinkling in a tablespoon or so of water if the dough doesn't seem to want to come together. As soon as the dough starts to come together, turn off the mixer and gather it into a rough ball. Transfer it to a lightly floured work surface, and roll it into a 16" log about 1 1/2" in diameter. Wrap the log in waxed paper or plastic wrap, and chill it in the freezer for 30 minutes. Using a serrated knife, slice the log crosswise into 1/8" rounds. Place them on an ungreased or parchment-lined baking sheet, leaving only about 1/2" between them; they won't spread much as they bake. Sprinkle them with a bit of paprika, if desired. Bake the cheese pennies in a preheated 400°F oven for 11 to 13 minutes, or until they're just beginning to brown. Remove them from the oven, and allow them to cool on the pan for several minutes before transferring them to racks to cool completely. Store, well-wrapped, for up a week. 1/8 teaspoon of cayenne pepper is discernible, while 1/4 teaspoon packs a moderate punch. Use more if you want a truly eye-watering experience. This recipe comes to us from our friends at Gracie’s Restaurant in Providence. In addition to being loyal Cato Corner customers and strong supporters of local farms, Matt and his team at Gracie’s offer warm hospitality and an innovative menu for a superb night out! Their mixed nuts with a combination of spicy cayenne pepper & sweetness make a festive and delicious accompaniment to a cheese board. Preheat oven to 325 F. Spray baking sheet with nonstick spray. Combine first 6 ingredients in a large bowl and stir to blend. Add nuts, stir gently to coat. Transfer to the baking sheet. Bake the mixture for 5 minutes. Using a wooden spoon, stir nuts to coat with melted spice mixture. Continue baking until nuts are golden and coating starts to bubble, about 10 minutes. Remove from oven. Working quickly, separate nuts with a wooden spoon while they cool. These can be made up to 3 days ahead.Store in an airtight container at room temperature. Thanks to Marge Rode on our staff and her husband Walt for this delicious cheese ball recipe! Mix altogether in a bowl and chill for at least 8 hours or overnight. Shape into 1/2" sized balls. Bake at 350 F for 10 minutes (or more) on an ungreased sheet, until nice and brown and crunchy. Makes 6 dozen. This recipe comes to us from Salem Cheese Shop in Salem, MA. If you’re ever up in the area check out their amazing store - and thank them for being strong supporters of Cato Corner Farm. Wash and dry the apples. This can be done the day before to insure that they are completely dry. Push a popsicle stick into the center stem of each apple. Line a baking sheet with parchment paper and lightly grease the paper with butter or cooking spray. In a medium size sauce pan, over medium-high heat, stir together the water, sugar and corn syrup, until mixture is bubbly and lightly boiling. Reduce the heat to medium and position a candy thermometer or instant read thermometer on the side of the pan. Continue to cook the mixture until the thermometer reads 275 degrees. Using extreme caution, stir in the bourbon a little at a time, along with the cinnamon, and vanilla seeds. The mixture will bubble up slightly with each addition of the bourbon. The mixture is extremely hot, use extra care during this step. Allow mixture to reach 300 degrees and turn off the heat, allowing the mixture to cool slightly to 275 degrees. Tilting the pot slightly, quickly and carefully dip each apple, one at a time into the syrup, allowing the excess to drip off. Place apple on baking sheet and allow to cool completely, about 30 minutes or overnight. Reheat the mixture if the syrup cools to quickly and falls below 265 degrees. Serve with slices of Aged Bloomsday. Sweet, light and floral with a light nutty Bloomsday makes for an eminently snackable pair that is sure to please a wide range of palates. The Moka Ginger cookies is rich and spicy enough to hold its own next to the hazelnut and caramel sweetness of Dairyere Reserve. Is Hooligan too stinky for you? Or do you crave that stench and want to push it further with another strong flavor? Either way, this spicy little cookie elevates the Hooligan to a piquant and pungent match for those seeking the extremes of culinary experiences! Whether you're watching a game or are otherwise enjoying a leisurely evening with friends and family, these three hors d'oeuvres featuring Cato Corner Cheese are sure to liven up the party. They are balanced, simple comfort food recipes brought to life with the flavor and provenance of raw-milk cheese. 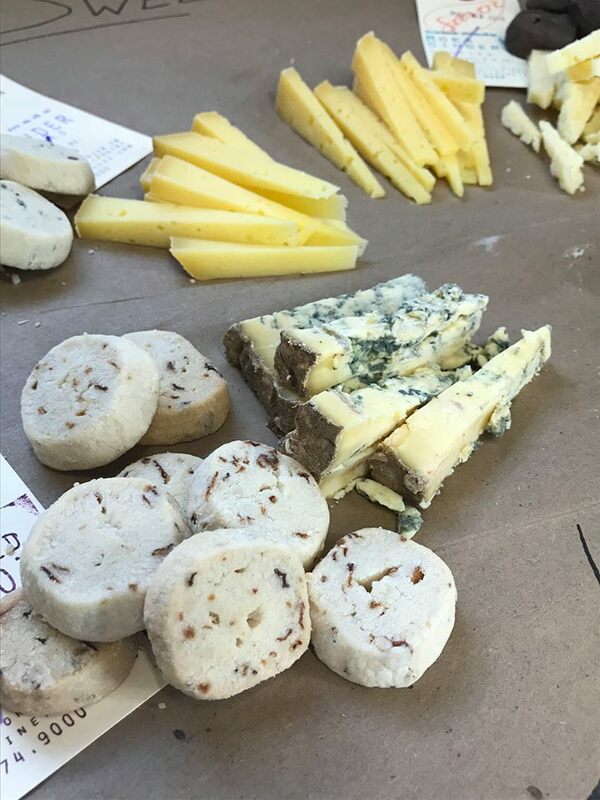 You can thank our cheesemaker, Chris, for the passion and attention he put into crafting these offerings! Click here to download the recipes as a printable PDF. Add ingredients to a food processor and mix until a coarse puree is formed. Chill and serve with bread, crackers or crudité. Preheat oven to 400. Line two baking sheets with parchment paper. In a saucepan combine the water, milk, butter and salt and bring to a boil. Reduce heat to low, then add flour and stir well with a spoon until a smooth dough forms. The mixture will become drier and pull away from the sides of the pan. Remove dough to a bowl. Beat eggs into mix one at a time, until well incorporated. Add cheese, reserving ½ oz. for later, as well as the pepper and nutmeg. Transfer to a pastry bag with a ½ inch tip. Alternatively, a Ziploc bag with a ½ inch hole cut in one corner can be used. Pipe tablespoon sized mounds onto the sheet pans about 2 inches apart. Sprinkle the remaining cheese on top of each gougere and bake until golden brown, about 20 minutes. Serve as is or split and fill with prosciutto, arugula and peppadew peppers. Preheat oven 400. Prick each potato several times with a fork and bake on a sheet pan until tender, about 45 minutes. Allow potatoes to cool briefly, then cut each in half horizontally. Scoop out flesh, leaving about ¼ inch. Reserve for another use. At this point the potato pieces can be either deep-fried or broiled. To fry, heat the vegetable oil in a large pot to 350. Cook the potato skins in two batches, until well browned, about 3 minutes. Drain on a wire rack or paper towel lined baking sheet. Season with salt and pepper. To broil instead, preheat the broiler setting and brush each potato skin all over with the melted butter. Place on a baking sheet and broil until each side is well browned but not burned, about 1 ½ to 2 minutes per side. Season with salt and pepper. To finish, top the potatoes with the cheese and bacon and broil until the cheese has melted, about 2 minutes. Serve hot. Mark recommends ½ lb Dairyere and ½ lb Vivace with 1 lbHooligan, but he likes it stinky! For a less pungent alternative, try ¾ lb Dairyere, ¾ lb Vivace, and ½ lb Hooligan. 3. Add the cheese by the handful and stir to melt. Simmer. 4. In a small bowl, mix together the cornstarch and kirsch until there are no lumps. Add this to the cheese mixture. 5. Top with black pepper and nutmeg to taste. 6. Keep warm over a Sterno heater while serving. 7. Serve with cubes of French bread or boiled potatoes. Accompany with gherkins and cured sausage if desired. All of our cheeses are “farmstead”, meaning that they are made and aged on the farm where the cows are pastured and milked. Dutch Farmstead cheese is an homage to that tradition of farmstead cheese making- rugged and straightforward. The winter batches have a distinctive creamy texture while summer batches are noted for sweet, grassy flavor profiles. Worker’s Comp Saison similarly gestures towards a tradition of beer-making linked to farming and highlights a variety of harvest grains like barley, wheat, oats and rye. The yeasty aromas of the beer- lemon peel, and tropical fruit- bring the subtle yeasty aromas we find on the rind of Dutch Farmstead to the foreground, while the effervescence of the beer cuts through the lush butterfat in the cheese. After a day of hard work in the yard or a long hike, enjoy this pairing with some local fruit and well-made bread. Like its sheep's milk predecessor, Womanchego is rich and complex, with wonderful tangy acidity that is complemented by sweet fruit pastes, figs and toasted nuts. The cream present in Womanchego gives the cheese a more luxurious mouthfeel. A beer with nice hop character brings out the grassy flavor in the cheese. Tropicale does standard India Pale Ales one better, as it is brewed with honey, giving it an exotic floral nose and very nice slightly syrupy finish. It can stand-in for the jammy accompaniments often served along this style of cheese. As an appetizer with this delicious beer, serve slices of green apple stacked with Womanchego and a toasted cashew. One must take good notes! We love to serve Vivace to our friends as part of an easy antipasti course. It’s slightly sharp flavor profile is a perfect match for Mediterranean favorites like marinated olives, charcuterie, fried long hot peppers, cracked pepper breadsticks and large wedges of tomato drizzled with oil. A classic pilsner, with its light body and clean finish is a perfect match for stronger flavors of this style of cheese board. We really love the Ol’ Factory Pils because its slightly peppery armoas complement Vivace’s strong spicy scent and bold salty finish. Throw a few cans of this beer in your cooler, set out a large slice of Vivace, and have your friends bring over their favorite antipasti. Each weekend, customers come into our shop and tell us Bloomsday cheese is their favorite: it’s slightly sharp, wonderfully creamy, and eminently snackable. Delicious on its own, this cheese lends itself well to the classic salty-sweet approach to pairing. The rich rye flavors in Stony Creek’s Amber Ale, Dock Time, bring out the sweet, toasty notes of Bloomsday. Serve with salted peanuts, toasted hazelnuts and pretzels to enhance the savory character of the cheese. We like how drinkable this beer is at 4.8% ABV -- it’s a great one to sip during a lazy afternoon of reminiscing with friends. Our Aged Bloomsday has very big aromas and flavors. We smell sweet hay and apricot when we inhale the cheese and taste very rich brown butter as the cheese sits and warms on our palate, as we chew we note the salty crystallization that it characteristic of a well-aged cheese. It can be difficult to find a beverage that will enhance and complement these complex notes without adding flavors that could detract or muddle them. Charter Oak Brewing Company makes an American Pale Ale that perfectly stands up to Aged Bloomsday without overwhelming it with bitter hoppiness. The Royal Charter Pale Ale perfectly balances bitter and sweet flavors making a crisp brew with full body. A sip of this beer cleans your palate and lets the flavors of this complicated cheese come into focus. Made in the style of a Gruyere, a bite of Dairyere brings to mind caramelized onion jam atop buttered toast. With its sweet and savory flavor profile, this cheese is evocative of the best comfort foods. It’s not uncommon for people to taste it and open up their favorite food memories, “my grandmother’s macaroni and cheese”, or “the first time I made French onion soup”. We like this cheese with a similarly rich and sturdy beer, and Broad Brook Ale has sweet malty notes that wonderfully complement the lactic sweetness of the cheese. The toffee aromas on the beer also remind us of happy memories making cookies or meeting a friend for coffee. One can also new memories with this cheese and beer pairing: maybe serving it at Thanksgiving as part of a dessert course with fresh biscuits and spiced nuts, or bringing it in a gift basket with local honey to new neighbors. Our Black Ledge Blue takes everything that is special about a British Style Blue cheese (piquant bluing, dry crumbly texture, sweet lactic finish), and enhances all of it with a luscious buttery texture that is uncommon in blue cheese. For this reason it’s wonderful as a dessert course alongside gingersnaps and creamed honeys. A traditional pairing would be sweet ports and rich red wines, but we like it with smoky porters as well. The Olde Burnside Brewing Company makes a Black & Tan style beer that blends their porter with their well-known Ten Penny Ale. We wondered if these two local items, with their shared metallic flavors could work well together, and lo and behold, a strange alchemy did occur. Tasted together, this cheese and beer bring out the best in each other; a delicious, smoky delicacy that reminds us as much of fireside poetry readings as raucous bonfires. Of all of the combinations of beer and cheese we tasted to compile this list, this pairing is the most informed by the rich histories of these two agricultural products. In the Middle Ages, monasteries in Europe were centers of agricultural development- fields of cereal grains were used to produce bread and beer. Cattle were used to work the land, therefore, a large amount of fresh milk was seasonally available. Monks focused on cheese making as a way to preserve milk through the winters. Many developments were made in cheese and beer making and unique styles began to emerge. Monks began experimenting with washing cheese in whey, brine and beer mixtures. We now understand that this process affects how the yeasts develop in the cheese and explains why the cheeses were so delicious with the beers and breads that had similar yeast development. The pairing of a pungent cheese with fresh bread and yeasty beer is popular to this day. New England Brewing Company’s 668 is a uniquely American take on the Strong Beligian Ale style that developed at that time. Strongly yeasty and wildly aromatic this beer is hazy in the glass and smells of honey, clove, black pepper and lemon peel. It is a perfect match for our Hooligan cheese, which is washed in a brine and whey solution, and also has a strong yeasty aroma redolent of mushroom and wet hay. This pairing is a true homage to monastic traditions of cheese and beer making! 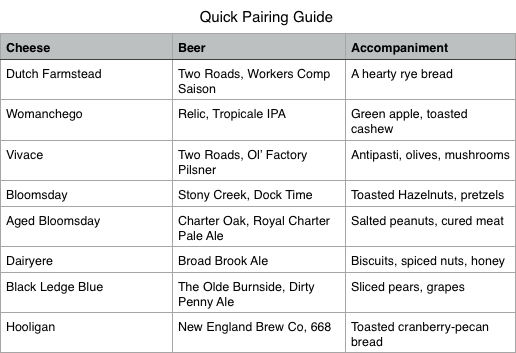 We hope you enjoy our suggested pairings, but we are always in pursuit of new, evocative combinations! Share pictures, tasting notes, and stories of your favorite complements to our cheese and we'll archive them here on our site! Often we will have people stop into the shop and tell us where they have happened upon our cheeses in their travels. There are stories of Hooligans in the streets New Orleans, Dutch Farmstead in the plains of the Midwest, Bloomsday in the city of brotherly love. 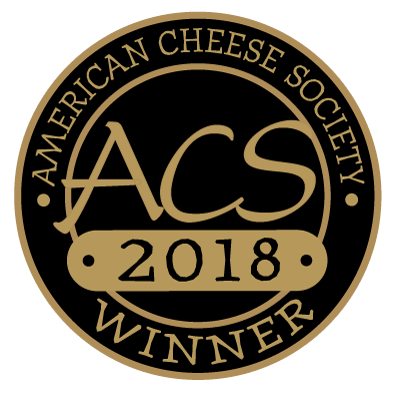 We truly appreciate the cheese shops, groceries, gastropubs, cafes, and more that have helped us share our cheese with those who don't get to the farm. To honor those cheese enthusiasts who have put us on the map, we've decided to put them on our own map. Our new map is a small artifact of cheese cartography intended to connect our cheese and our friends wherever they may find themselves. Please take a look at the map, it may surprise you how close you might be to a hunk of Cato Corner Cheese either in a monger's case or on a chef's plate. The map will have a permanent home on our 'shop' page, and we hope to keep adding new points to the map as we go along. Feel free to let us know if we've overlooked a spot that you think we should pin on to the map, and please do explore all of the cheeses you'll find at any of these great places. Red markers indicate cheese shops and groceries that carry our cheese. Green markers indicate restaurants that often feature our cheese on their menu. Blue markers indicate farmer's markets where you can find our cheese. Yellow markers indicate wholesale distributors.